Saving money on airfare is practically a competitive sport. In fact, people will go to such extensive lengths to save money, airlines have started to crack down on some of their efforts. One airline even sued a passenger for skip lagging. Still, there’s good reason that people work so hard to try and hack this process. First, airfare is expensive. Worse, people seem to be getting less and less for what they pay. Airlines often engage in customer service practices that seem to be downright abusive. Fares and fees are getting steeper each year, and many of the perks of flying are dwindling. It’s no wonder people are getting creative with scoring at least some saving. So, which airfare booking hacks actually work, and which ones are best left behind? Here are some popular strategies. There is one area where timing really does matter. If you have time to spare, you can usually save money on airfare. If you are willing to endure extended layovers and forego direct flights, your tickets will often cost a bit less. Of course, you’ll need to decide how much your time is worth. Remember that it’s not as if you will save 20% by adding an extra stop to your flight or signing on for an 6 hour layover. This is the practice that got a passenger sued. Here’s how it works. Sometimes, you may find that you can save money by booking through your destination. Imagine you want to fly to Phoenix Arizona from Chicago IL. You check ticket prices, and realizes that you can save money booking a trip to Albuquerque, NM from Chicago that happens to have a stopover in Phoenix. So, you buy the ticket, then when you disembark in Phoenix, you simply stay there skipping the last leg of your flight. There’s a reason airlines don’t like this. By skipping out, you leave them with an empty seat on their plane that they could have otherwise sold. The lawsuit in question was dismissed, but several booking sites and airlines ban the practice. If you decide to do this, proceed with caution. 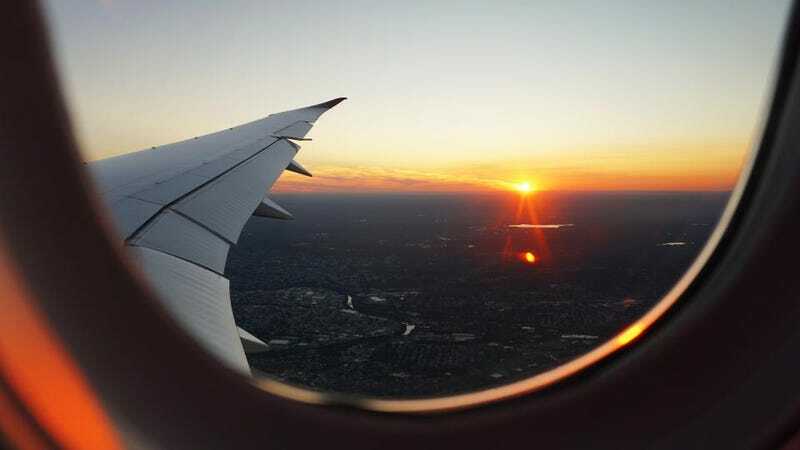 If you are one of the few, fortunate souls who can book flights on a moments notice, or who can travel at any time without much restriction, you can save quite a bit of money. In fact, you can use many travel sites to sign up for online price alerts. These will alert you when airline prices drop so that you can book your flight immediately. If you book foreign travel, there are times when you may find that it costs quite a bit less to book airfare within a foreign country than it does buy the same ticket when you are in the United States. This is because airlines consider local market competition, customer wealth, and other factors. When you search for airfare, travel sites use your IP address to determine your location. They use this to curate the correct fares to you. Some travelers connect to the internet using a VPN, which obscures your IP address and location. Just keep in mind that your actual results using this method can vary. If a booking site cannot detect your location, they may simply require that you enter it manually. Unless you are comfortable lying, you’ll pay fare associated with your home country. In other cases, the VPN may just work to your advantage. Of course, that assumes you are comfortable using one. While they are legal in the US, many people associate VPNs with some pretty insidious activities. You might consider a service like Smart DNS Proxy as an alternative. You can also contact a travel agent within another country. They can often book flights for you to get those discounted resident rates. That’s in addition to any other savings they have available. Are Practices Like Skiplagging And Other Hacks Ethical? There are certainly people who argue against many of the ‘hacks’ designed to help travelers save money on airfare. To them, these practices simply cause airlines to raise prices or reduce services in response. Others feel quite differently. They believe that airline pricing and policies already take unfair advantage of customers. In addition to this, skiplagging as practiced by the average consumer doesn’t involve many flights per year, and hardly makes a dent in any airline profitability. Hacker fare is a phrase that is used by travel booking sites to indicate that they are able to help travelers find the best airfare options by showing them side by side comparisons between competing airlines. Hacker fares often showcase the price savings travelers can realize if they book separate one way flights or travel on different airlines during different legs of their trip. Travelers should be aware that in order to get these hacker fares, they often have to act quickly. For example, they may need to book flights on two airlines one right after the other in order to get a special deal. These are round trip tickets that have you landing in one place, the flying out of another. Imagine that you fly into Tampa for a couple of days, then drive to Orlando to go to Disney World. If you fly home from Orlando, you’ve purchased an open jaw ticket. These can help you save money in some cases, particularly international travel. This is true since one way flights are often more expensive internationally than within the US. You can expand these savings if you are willing to use smaller airports. There are definitely several hacks that travelers can use to help save money on airfare. Some are completely above board. Other strategies are bit more controversial. Pick the ones that feel right to you, and apply them to fly at the best possible price. Self Driving Cars: Are they Potentially Safe or Not?